We offer electronic and electro-mechanical manufacturing services to customers specializing in various industries, such as musical equipment, military systems, laboratory equipment, industrial controls, and medical and dental equipment. We offer complete sales, service and installation on all of our electronic locks. Why pay more and receive less? Our locks are durable, affordable, and cutting edge in RFID technology. We offer the latest Mattress Encasement Technology to protect your guest. 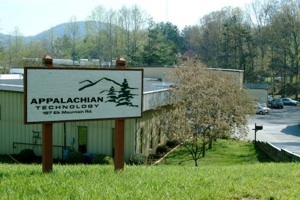 Appalachian Technology is an electronic manufacture located in Asheville, NC nestled in the Blue Ridge Mountains of Western North Carolina. We provide a wide variety of products to a diverse customer base including contract manufacturing, hotel locks and safes, and mattress encasements. at 828-210-8888 for a free consultation with one of our professional staff members.